Tommy Makinson scored two tries to help St Helens bounce back from two recent defeats as they beat Wakefield in the Super 8s. 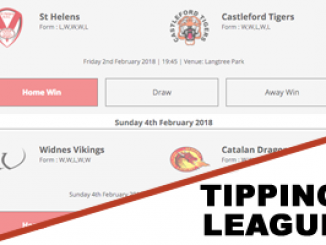 Prior to the game at the Mobile Rocket Stadium, Super League leaders St Helens had lost their previous two games to Catalans Dragons and Huddersfield Giants. But their win at Wakefield sees them needing just three points to clinch the League Leaders’ Shield. 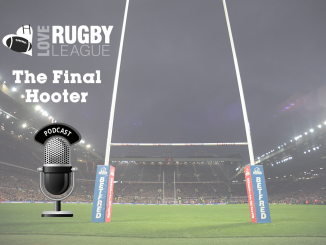 Chris Chester made one change to his Wakefield Trinity side that won at Hull FC last week. James Batchelor came in for Chris Annakin. 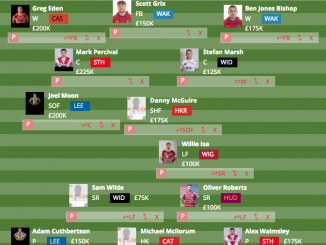 St Helens coach Justin Holbrook made two changes to his outfit that lost to Huddersfield Giants last time out. Regan Grace and Jack Ashworth replaced the injured Adam Swift and suspended Luke Thompson. The game was intense from the off and Wakefield came close to scoring in the opening stages through Tyler Randell but a try saving tackle from Luke Douglas denied him. David Fifita was great for Trinity in the opening quarter and broke the line on a number of occasions. 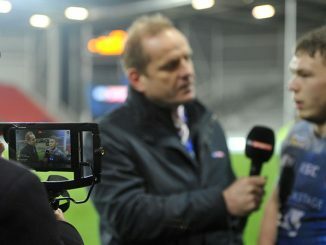 It was St Helens who scored the first try. A couple of powerful carries from Ashworth powered Saints up the field and Tommy Makinson scored from a trademark finish of his in the corner. Danny Richardson converted to put his side in a 6-0 lead after 26 minutes. Ashworth had a huge first half. An offload from the young back-rower sent James Roby free which resulted in Jonny Lomax going over. Saints scored their third try in the space of eight minutes through Makinson. The winger got on the end of a Richardson bomb to touch down. Richardson failed to convert, but St Helens were 16-0 to the good at half-time. Wakefield started the second half greatly. Bill Tupou made a break and assisted the supporting Kyle Wood who scored. Ryan Hampshire converted but they were still 16-6 behind. Trinity were dealt a huge blow in the 50thminute though. Craig Huby was sin-binned for a high shot on Kyle Amor. The hosts pulled another back when Pauli Pauli crashed over the line from close range. Hampshire added the conversion, Wakefield 12-16 St Helens. A try from Theo Fages on the hour gave Saints some breathing space. But Chester’s men kept coming back into the game and a sublime cut-out pass from Jacob Miller saw Tupou cross the whitewash. There were just six points in it with 15 minutes left. Scotland star Douglas extended Saints’ lead in the 70thminute after he latched onto a Richardson grubber. Richardson added the two points. Grace sealed the win for Saints with seven minutes to go. The Wales winger scored his first try in five games as he used his electric pace to get past Max Jowitt. 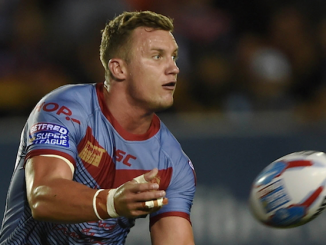 And a last-minute penalty goal from Richardson saw Saints secure a 36-16 victory and return to winning ways after two defeats to Catalans Dragons and Huddersfield Giants. Wakefield: Jowitt; Jones-Bishop, Lyne, Tupou, Johnstone; Miller, Hampshire; Fifita, Randell, England, Ashurst, Batchelor, Horo. Subs: Wood, Pauli, Arona, Huby. St Helens: Barba; Makinson, Costello, Percival, Grace; Lomax, Richardson; Amor, Roby, Douglas, Taia, Knowles, McCarthy-Scarsbrook. Subs: Fages, Wilkin, Lees, Ashworth. Starman: Tommy Makinson was superb for St Helens. He scored two tries in the first half and his fend offs are impressive.